Hi friends! Happy New Year! 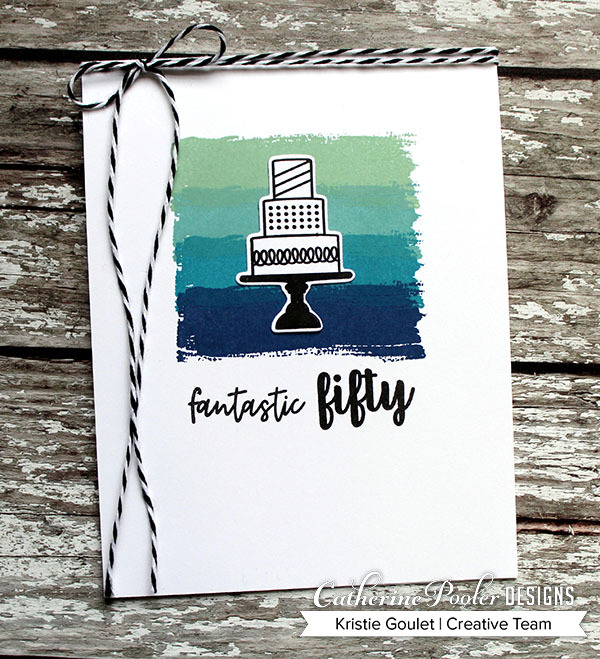 I have a fun birthday card to share with you all using some Catherine Pooler goodies. I love these colors together and just think of creating this same card but switching out the colors to more feminine colors, pinks or purples. 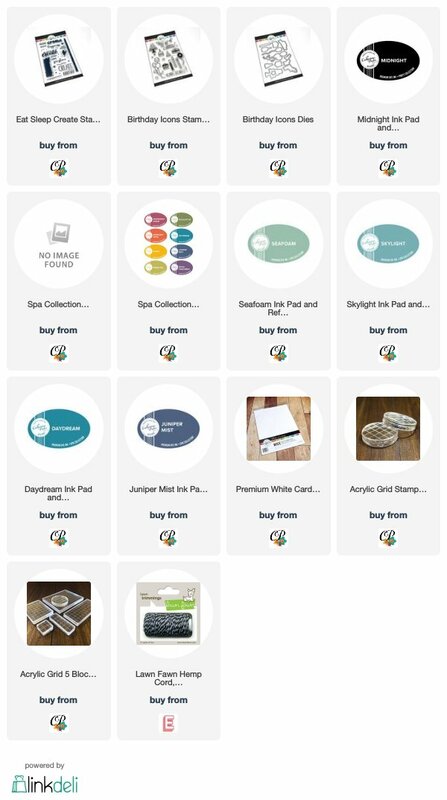 I used the fun paint swatch stamp from Eat Sleep Create stamp set to create my focal point. I used colors from the Spa ink collection. I then stamped and die cut the cake from the Birthday Icons stamp set. It fits perfectly on my stamped paint swatches. I then stamped the sentiment and added some black and white twine to finish off my card. 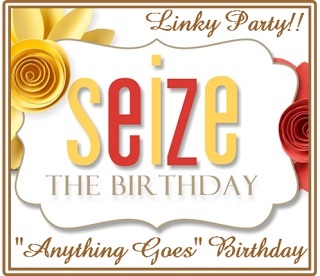 I am adding this over at Seize the Birthday: Anything Goes! You are right...you could change out the colors and make a few more. Love your card Kristie. Great color combo. Thanks for sharing with us at Seize the Birthday. Great card, Kristie! I love that your background holds all the color and your focal is black/white. Nice!